If you love the feel of your Ghost and Phantom, but want a shorter, chunkier board for smaller surf the Pyzel Gremlin 5'7 Surfboard is the board you are gonna want! Based off the Ghost DNA, it's the Step-Down cousin to the Phantom, with lots of extra volume packed into a shorter, wider, flatter rockered package: designed for quick acceleration, easily sustained speed and great paddle power. 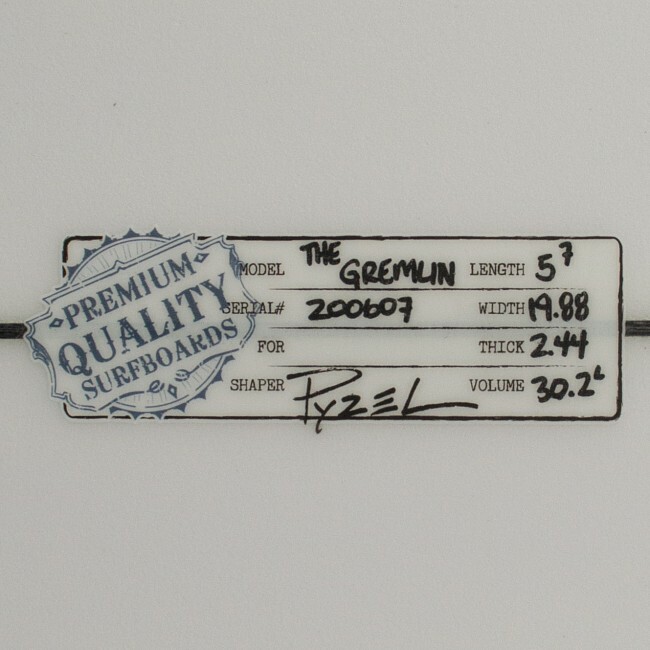 The Pyzel Gremlin 5'7 Surfboard was made to get you excited about surfing on the days that are less-than-epic and also to give you a taste of FunFormance that will get you fired up in any kind of surf. The wider outline is complimented by a low entry rocker for easy speed and glide through the weakest, slowest sections, but the curve through the tail rocker was kept to keep its performance oriented and add to maneuverability. The bottom runs from single to double concave, with a nice bit of Vee running off the tail. This makes it a board that paddles easy, gets up and goes fast, and still has a snappy, drivey, high-performance feel to get you the most out of every wave you catch. Higher level surfers will want to ride this board as much as 4-6 inches below their height (and find that it actually has a full-on high-performance side to it). A more intermediate level surfer will want to stick to something around their height. 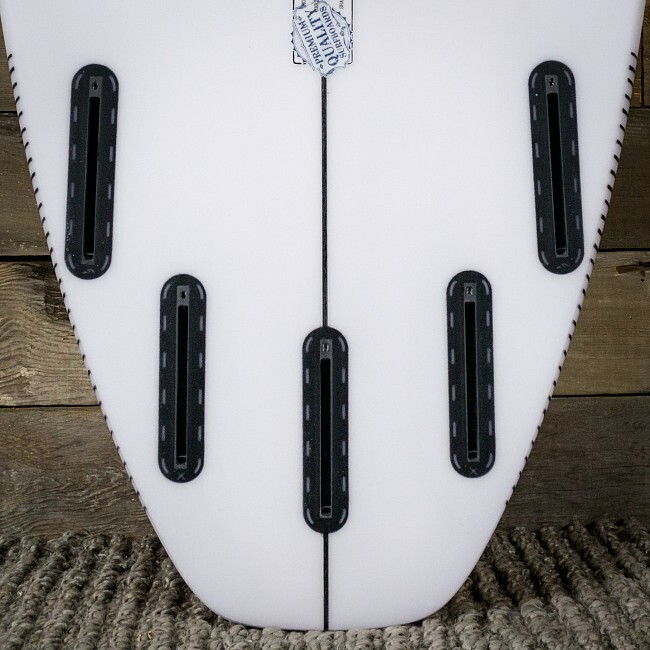 It's also a great transitional board for the more beginner surfer who is ready to take the step away from their longboard (or whatever they have been riding) to a more FUNformance design! Whatever length suits you, it is meant to be ridden wider and thicker then your shortboard. Building a board in PU/PE means using a Polyurethane foam blank and glassing it with polyester resin. This is how the majority of today’s surfboards are built. It is not a new way to make a board, but the materials are very stable, strong, consistent, and easy to work with. PU foam is closed celled, meaning it won’t easily soak in water if you ding your board, and that also means that it doesn’t absorb too much resin when getting glassed, keeping your board light. Many surfers prefer the feel of PU/PE boards because that is what they have ridden all their lives, and because they feel really good.